If you need a speaker cabinet with a specific look, sound and size, getting one custom made might be more affordable than you’d imagine. 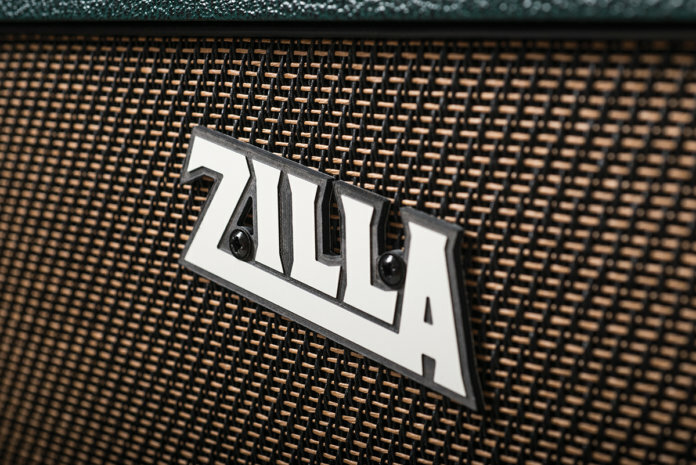 Based in Somerset, Zilla Cabs is a small family business that has been building guitar and bass cabinets for over a decade now, and in that time has developed a reputation for quality, customisation and great tone. Every Zilla cab is constructed using hand-chiselled finger joints, and you’re given a huge array of hardware, driver, tolex and grille cloth options to ensure that your cab is exactly what you want it to be. 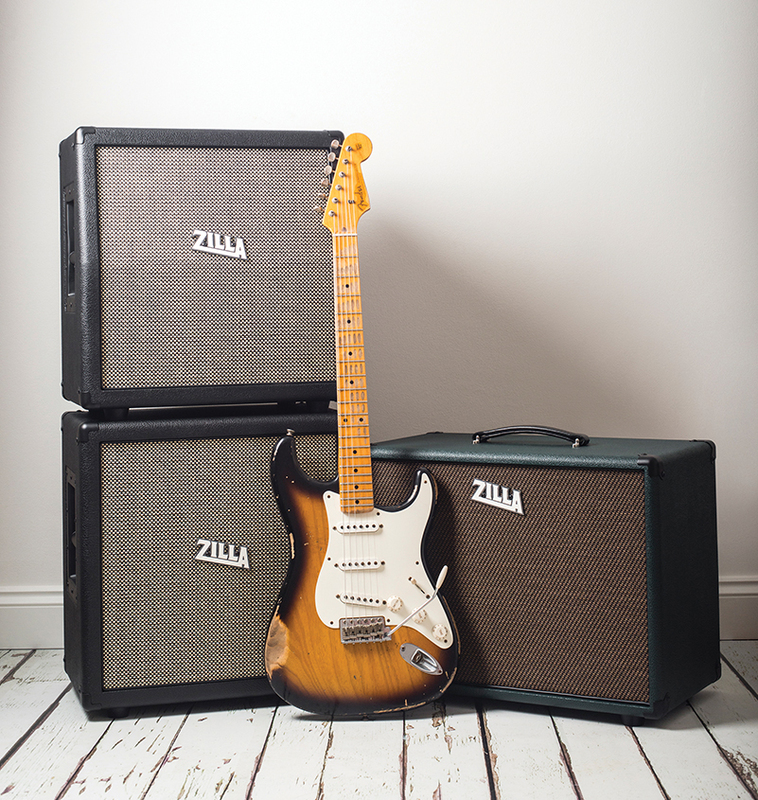 Here, we’re looking at three of Zilla’s 1×12 birch ply cabinets. The green unit is ported to overcome the bass-light characteristics of small cabinets, and although you can specify your preferred speaker, this is tuned for optimal response with its Celestion G12H-74 Creamback. The two black cabs combine to form the ‘Mini Stack’. 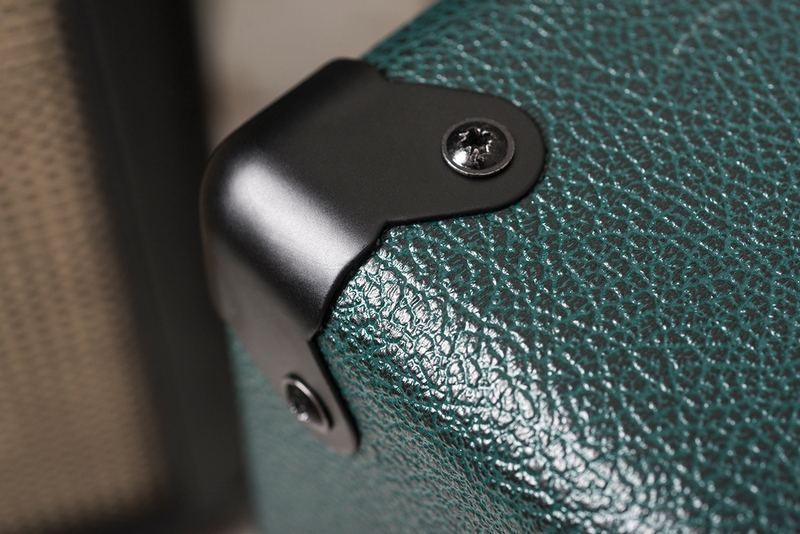 It’s designed to maximise sound spread, make your amp head’s controls more accessible and be portable. A slightly thicker than usual birch ply is used, which increases baffle rigidity. 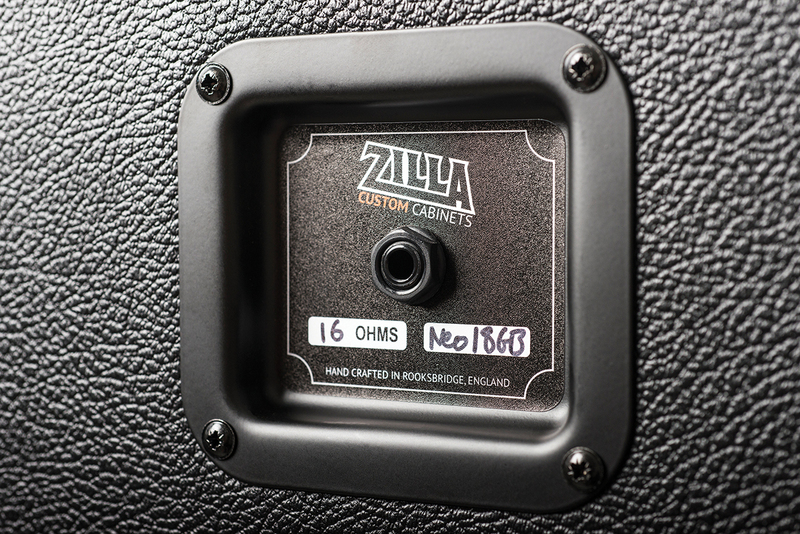 Both Celestion-loaded, the flat-fronted cab contains a G12M Greenback and the slanted one has a Neo Creamback. None of these cabs is geared towards classic American tones, so our usual blackface and tweed types are set aside and for testing we’re using a 15-watt Egnater Tweaker. We begin by dialling in a semi-driven tone with a Strat to provide a sonic reference point and once we’re happy with the sound, the Egnater is disconnected from its onboard Celestion G12H and plugged into the ported cabinet. Immediately the Egnater sounds bigger, wider and much improved. The bass is way deeper but it’s also far more solid and the extra lows do not detract from clarity. High frequencies have sparkle and sheen without any harshness, but the ported cab’s most impressive feature is its sheer slam. It’s not overly aggressive or uncomfortable, but there’s a solidity and swiftness that makes the Egnater sound livelier and more dynamic. It almost feels like you’re playing through a closed back 2×12 or even a 4×12, and the scale of the sound belies what is actually a fairly small and portable cabinet. Run on its own, the slanted cab sounds like a rather aggressive bass roll-off filter has been applied. The emphasis is very much on the mids and we notice a slight boxy, cocked wah honk. It’s a tone we really like, with a touch of extra throatiness and a far smoother and more compressed response that sweetens overdrive in a very appealing way. Although both cabs have much in common dynamically, the straight cab produces a more even frequency balance, less midrange colouration and a touch of extra clarity. This pair is meant to be used in tandem and the sum is sonically greater than its parts. 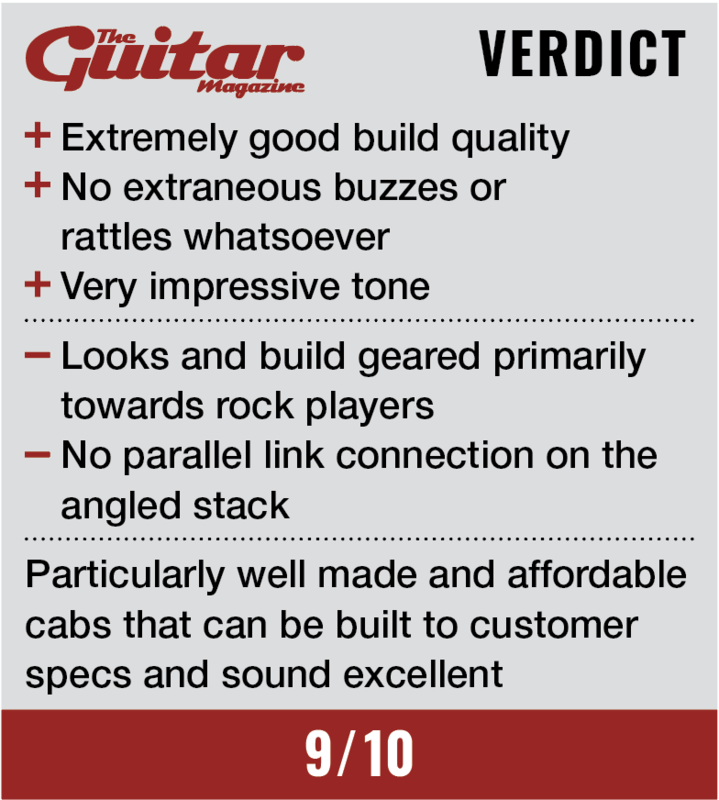 It’s a bold and room-filling sound that’s very articulate and clear, yet player-friendly, too. Inevitably, the tall and narrow stack has a somewhat directional response that’s apparent when you walk outside the sweet spot. Interestingly this isn’t the case with the ported cab, which proves equally room-filling and may even have the bigger tone. Although we have always liked our Egnater Tweaker, we never realised quite how good it was until now. This is largely because each of these Zilla cabs lifts it into another league. And while the Mini Stack is impressive, no doubt, the Ported 1×12 is on another level – try one.